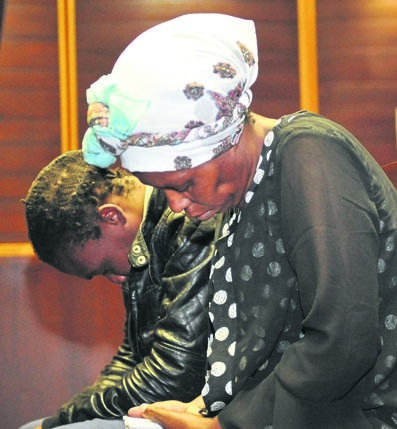 MUTHI KILLERS JAILED FOR LIFE! THE gruesome details of a teen boy’s murder were revealed before the Pietermaritzburg High Court yesterday. Traditional healer Phumlani Ngidi (34) and his assistant, Khanyisile Khusi (46), are on trial for the murder of Mxolisi Langazana (17). In May, Ngidi and Khusi drank 12 bottles of vodka before they killed the teenager and harvested some of his body parts to make muthi. They then dug him a grave and buried him. Lawyer Zeera Fareed said the two pleaded guilty and were remorseful. “Ngidi committed the crime because he thought he would regain his powers if he killed Langazana. He is a first-time offender and he has no criminal record,” she said. Prosecutor Mbongeni Mthe-mbu said the two had taken the life of a teenager with a bright future ahead of him. “Ngidi was motivated by greed. They deserve a harsh sentence,” he said. Judge Anand Maharaj sentenced Ngidi and Khusi to life in prison. 3 'WINTER STOCK' WANT ATTENTION ALL YEAR ROUND!